WMSAR volunteers were tasked by Irish Coast Guard at 19:37 this evening to a report of a person in the water at Adelphi Quay. Rescue crews were training on the River Suir when the call came in and responded immediately. On arrival at the scene, rescue crews found the individual at the top of the ladder and in an upset state. He appeared to have entered the water then self rescued. After some negotiation with our volunteers, the individual was guided to our rescue boat and then brought to the safety of the Plaza Marina and handed over to Waterford Gardaí and Waterford Ambulance Service. Also in attendance were Waterford City Fire Service. Darkness Into Light, proudly supported by Electric Ireland, is the absolute highlight of the Pieta House calendar! Starting at 4.15am, and crossing the line just as dawn is breaking, the phenomenon that is Darkness Into Light, our annual 5km walk/run, will celebrate its seventh year on Saturday, May 9th 2015, with 80 venues across Ireland and beyond lined up. With several hundred people joining us for our first event in Dublin’s Phoenix Park seven years ago, to thousands upon thousands of people across nearly 40 locations in May of last year, Darkness Into Light has grown beyond all expectations. Darkness Into Light Waterford City 2015 There will be 2 registrations days on the 25th and 26th of April, between 11 and 4 each day at the RSC on the Cork Road. ?Everybody can collect there T- shirts on these days as well, all you need is your on line registration detail. Looking forward to seeing everybody. Remember – It’s 4.15am in the early hours of SATURDAY morning, 9th May! Registration is open now – at early bird rates! Hit the following link to sign up http://dil.pieta.ie/?/venue-v?/darkness-into-light-waterford In 2009, the Phoenix Park saw the first of the yellow t-shirt clad people assembling at an unthinkable?hour. There were about 400 people that fateful morning, all huddled together in the blackness and the cold, standing behind the starting line. ?Who would have guessed that seven years on, the little event we call Darkness Into Light would be the symbol of hope, the celebration of life that it is today? With close to 80,000 participants last year, how could it get any bigger? But it has, and now Darkness Into Light is celebrated in 80 venues in Ireland and much further afield. In addition, we are thrilled to once again have our sponsor Electric Ireland, the leading energy supplier in the country on board to ensure 2015 is the best year yet for Darkness Into Light. Think about the thousands upon thousands of remarkable people who attended last year. Think about how delicious it will be to collapse back into your warm bed later on that morning, knowing that you?ve done your good deed for the day, and your exercise for the week! 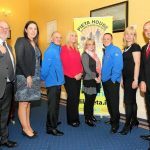 But ultimately, think about how Darkness Into Light is the flagship fundraising and awareness event for Pieta House, and without your support, we could not have helped so many people in distress over the last nine years. During last night’s suicide prevention patrol, volunteers observed a person?climbing over the rails at 11:25 p.m. The individual was in a distressed state and intended to take his life by drowning. Members of our foot patrol team, who are specially trained by the HSE, approached and spoke to the person. Our rescue boat was also observing and ready to act. At 11:59 p.m, officers of An Garda S?och?na assisted the man to the right side of the railings, where he was then brought to safety. We would like to wish the person a speedy recovery and thank you to Irish Coast Guard for coordinating the incident. Search operation launched after clothes found on the Quay. 24/12/2014 A man feared missing in Waterford City overnight has been found safe and well. 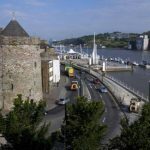 A search of the River Suir got underway in Waterford City at around 7.30pm after a bag of clothes were found at the Quay. The Gardai, the Fire Service, Coastguard, Civil Defence, Waterford Marine Search and Rescue and Waterford River Rescue were all involved. The Waterford based Coastguard helicopter, Rescue 117, searched overhead. The search was stood down for the night however the man was located safe and well a few hours later. 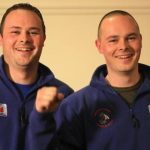 Twins Darryl and Declan Barry from Waterford Marine Search and Rescue who were named as Volunteers of the Year last night in the Volunteer Ireland Awards. Twin brothers from Waterford city, who have helped save some 69 lives, were last night named as Volunteers of the Year in the awards scheme organised by Volunteer Ireland. 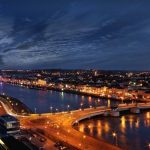 In January 2010, Darryl and Declan Barry set up Waterford Marine Search and Rescue to provide Waterford city with a voluntary 24-hour, year-round search and rescue service. Since then the organisation has grown to involve 40 volunteers and helped to save 69 lives. The Barry brothers received the award at a gala ceremony in Dublin last night. The Barrys are at the organisation?s base seven days a week and often stay late into the night making sure that the service is working to its full potential. The voluntary service also operates a weekend suicide prevention patrol system which the pair developed. This patrol is now spreading nationwide, with several other communities adopting the approach. Distress They were nominated for an award by fellow volunteer David Hearne who said the brothers had changed the lives of hundreds of people by setting up the organisation. ?If we get called out to a person in distress at three in the morning they will be there along with the rest of the crew,? said Mr Hearne. Ten other volunteers won awards. 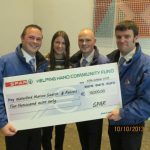 They were: John Power, Dunmore East Tidy Towns, Waterford; Alice Mannion, Kilmurry Drama Group, Roscommon; Frankie Forde Waldron, Mayo-Roscommon Hospice; Killian O?Reilly, For?ige Bundoran, Donegal; Daniel Downey, Cavan Community Radio and others; Fintan Mulligan, 121digital, Ashford, Wicklow; Lorraine Dempsey, Special Needs Parents Association, Aughrim, Wicklow; Anne Copplestone, The Hope Foundation, Cork; Liam Hendry assisting Leo Garvey, Ballina, Mayo; John McCarthy, Irish Wheelchair Association Sport, east Cork. Commitment Chief executive of Volunteer Ireland Yvonne McKenna congratulated all the award recipients and nominees and thanked them ?for their commitment and dedication to making Ireland a better place to live in?. More than 13,500 volunteers have registered through volunteer.ie and local volunteer centres so far this year. These volunteers have built up 439,000 hours of voluntary work, estimated to have an equivalent value of almost ?10 million. Suirway Farm Machinery have been involved with Declan & Daryl?Barry of?Waterford Marine Search & Rescue since they started up in 2010. We initially provide them with a transit?van for patrolling the quays and surrounding areas in Waterford ?& since then we have also provided them with?two Steady 400 boats which they use for patrolling and for Rescue. Declan & Daryl Barry have been involved with Marine Search & Rescue for seven years. 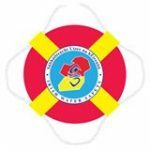 In January 2010 they set up Waterford Marine Search and Rescue to provide Waterford city with a voluntary 24-hour, 365 days a year search and rescue service.Since then the organisation has grown to involve 40 volunteers and helped to save 69 lives.? The organisation operates a weekend suicide prevention patrol system which Daryl & Declan implemented. This patrol has started to spread nationwide. In December Declan & Daryl were?honoured?for their dedication & commitment as Volunteers of the Year 2013 at the Volunteer Ireland Awards in Dublin.